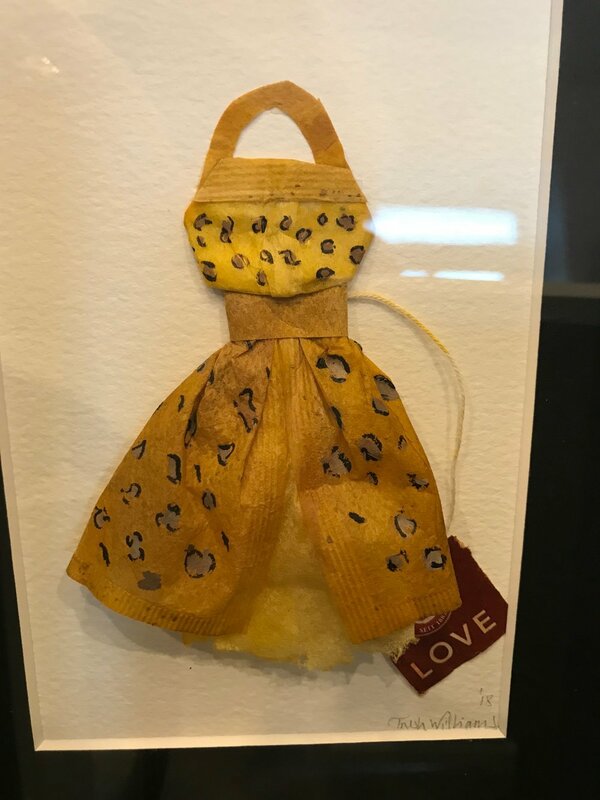 Trish was inspired to work using used/recycled teabags after reading an article about a New York artist in 2017 who made art out of all kinds of recycled bits, including egg shells, old carrier bags and tea bags. Like many people who care about the environment, Trish was keen to try working with waste materials and after writing to the artist and receiving the encouragement she needed….she set to work! Trish has certainly found a system that works for her, and now produces spectacular art on a miniature scale. There is no particular theme to what she paints, it’s random and is based on what inspires; a busy bee in the garden, a bird on a feeder or a crashing wave. Trish also painted a series based on inspiration taken from David Attenborough’s Blue Planet 2, which highlights the need to protect our planet against plastic pollution. Making art can be serious, it can also be whimsical, magical and fun……We think Trish’s art delivers on all levels. Make sure you know whats sailing in and out, seasonal treats and special offers. Sign up to our newsletter to stay in the loop. Thank you! Please confirm your subscription to make sure you receive your newsletter (you may need to check your junk filter! ).